Our spacious studio in Huddersfield is only minutes from the M62… ideal if you’re coming from Leeds, Wakefield or Manchester. The M1 isn’t far away so getting here from anywhere in the UK is simple. Once here you’ll find plenty of parking right outside the door, we even have drive-in HGV access. The studio is fully equipped with the very best technology, facilities and team for all types of commercial photography. The latest digital photographic equipment combined with wide and varied experience means you get exceptional creative photography. We focus on quality and personal service – we don’t just take your products and go shoot them, we discuss your requirements, offer friendly advice and involve you, ensuring you get the images you want – whether that’s tabletop product photography, full room-sets in the studio or on location. "Great photographers, 100% service time and time again!". 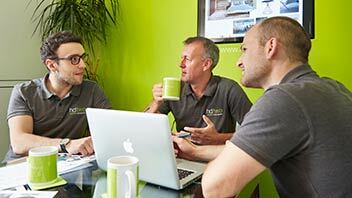 “HDTWO are a truly professional but friendly studio that offer a first class service every time. 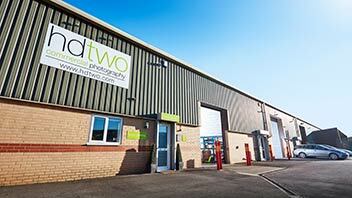 Well equipped for a wide range of photography needs, they are very accommodating to customers individual requirements. "They work tirelessly and pragmatically, both proactively and reactively, to ensure they deliver the required results". West Yorkshire, UK, HD2 1AG. HDTWWWO – Gain more insight with our new website! RT @LUFC: 📰 | The new Kappa Lux range is now available to purchase, and fans can win a signed @J_Warrington hoodie!